Spend a little time in the kitchen and look great while doing it with this design of an oven mitt! Sew it onto tea towels or aprons for the perfect accent! 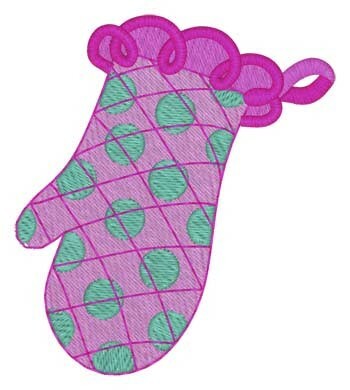 Dakota Collectibles is happy to present Oven Mitt machine embroidery design which has 6840 stitches and is [54.61 mm x 61.47 mm] large. If you would like to view more embroidery patterns please search on our embroidery designs page.